Find your passion, live your dream. Jasmine Lawrence currently serves as a Technical Program Manager on the Building 8 team at Facebook. Previously, she served as a Technical Program Manager at SoftBank Robotics America where she lead a multidisciplinary team to create software for social, humanoid robots. Earlier in her career, Jasmine was a Program Manager at Microsoft. On the Microsoft HoloLens Experience team Jasmine created customer driven Mixed Reality applications for enterprise partners. Before that she worked on the Xbox Engineering team creating cross-platform social experiences for gamers around the world. Jasmine earned her Bachelor's Degree in Computer Science, with concentrations in devices and artificial intelligence, from the Georgia Institute of Technology. While at Georgia Tech Jasmine conducted research in the field of robotics. She served in the Georgia Tech Healthcare Robotics Lab and the Robotics and Intelligent Machines Lab. She also holds a Master's degree in Human Centered Design & Engineering from the University of Washington. At the age of 13, after attending a NFTE BizCamp, Jasmine founded EDEN BodyWorks to meet her own need for affordable natural hair and body care products. After almost 14 years in business her products are available at Target, Wal-Mart, CVS, Walgreens, Amazon.com , Kroger, HEB, and Sally Beauty Supply stores just to name a few. In her free time, Jasmine like to go for walks, write code, play Xbox and read. She is also a poet, motivational speaker, mentor and loves to play basketball. EDEN BodyWorks was driven from Jasmine’s own need for a natural hair care solution. Devastated by the harsh chemical products, 11 year-old Jasmine sought to develop unique products that were all natural and really worked. Unlike most products that are cosmetic in nature, her mission was to develop hair care products that actually deliver their promises. At the age of 13, after attending a NFTE BizCamp, Jasmine officially launched EDEN BodyWorks. 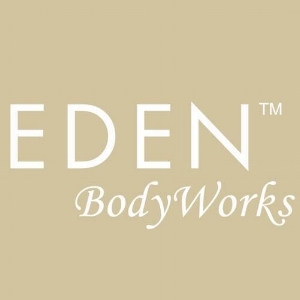 Under the leadership of this dynamic and driven young person, EDEN BodyWorks has experienced tremendous growth with a rapidly expanding product and customer base. Her company, a certified women owned business, manufactures and distributes all natural hair and body care products around the world. After 13 years, Jasmine continues to work on expanding her all natural hair and skin care products lines to meet the needs of her diverse, multicultural customer base. Her products are available at Target, Wal-Mart, CVS, Walgreens, Amazon.com , Kroger, HEB, and Sally Beauty Supply Store just to name a few.